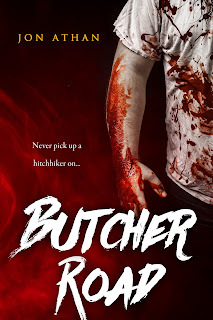 "Butcher Road" is now available for pre-order! Today, I am proud to announce my next book, Butcher Road. Inspired by The Texas Chainsaw Massacre, Psycho, and Ed Gein, Butcher Road is a traditional slasher fraught with suspense and gore. The book will be available June 11, 2016. You can pre-order your copy today. You can also add the book to your wishlist if you'd like to read it through your Kindle Unlimited subscription upon release. Regardless, thank you for your support! I hope you enjoy this slasher as much as I enjoyed writing it! Writing Updates for April 2016! Hello! It's that time of the month again. Yes, it's time for another update. Don't worry, I'll try to keep it short this month. First and foremost, Sinister Syndromes launched a few days ago. It's a horror novel about two violent serial killers with a pinch of black humor -- just a pinch, though. You can buy it for $2.99 or read it for free through Kindle Unlimited. Regardless, your readership is always appreciated. Mr. Snuff is still releasing on May 12, 2016. I'm going through my final proofread, so I should be submitting the final draft in a week or two. It's also still a thriller about a father trying to avenge his slain daughter. I'm also continuing my work on a slasher for June 2016. Said slasher is inspired by The Texas Chainsaw Massacre, Psycho, and Ed Gein. You can expect more details by the end of the month. I have plenty of other horror projects in the works, too. I won't bore you with the same details, though. So, what's new? Well, I started outlining my first science-fiction/fantasy book this weekend. Considering I've only written horror for the past two or three years, this is a big change for me. The book is different from anything I've ever written. It's about a teenage psychic who is kidnapped by an oppressive government trying to harness his energy. I can already tell it's going to take quite some time to write, so don't expect to see it until the end of the year or 2017, but I'm dedicated to writing it. Anyway, I look forward to sharing more with you in the near future. Thank you for your readership. I appreciate it more than you can possibly imagine. Have a great week and keep reading!